The Audi A3 hatchback is one of the smarter looking medium family hatchbacks and it attracts well-heeled buyers or company car drivers that don't want to draw too much attention to themselves. Most people will buy an A3 based mainly on the badge and, as a medium hatchback with excellent engines and sensible running costs (thanks to its strong residual values), it certainly ticks plenty of boxes. This latest model is not only larger than the previous version (12mm wider and the wheelbase is up 23mm), but it also weighs 80kg less. Boot space has grown from 350 to 365 litres. The A3 design is understated, but it's in line with newer models like the Audi A6 and Audi A4. The A3 hatchback is offered with four petrol engines and two diesels. Petrol units range from 1.2 to 1.8 litres, with the latter coming with the option of Quattro four-wheel drive. A recent addition to the range is a 1.4 TSI unit with Cylinder on Demand technology. This system ( this raises the price) automatically shuts down two of the four cylinders when coasting or on light throttle inputs – the result is diesel-like fuel economy of 60.1mpg and CO2 emissions of 109g/km. Diesel engine options, popular among company car drivers, are 1.6 and 2.0 TDI units offering 103bhp and 148bhp respectively. CO2 emissions are from 99g/km. Entry-level models are badged SE and come with air conditioning, DAB radio with the Audi Music Interface, voice control and 16-inch alloy wheels. Sport models bring 17-inch alloys, aluminium interior trim, the Audi Drive Select system which alters the ride characteristics, and a sports chassis lowered by 15mm. Top spec S line models gain 18-inch wheels, part-leather interior and xenon headlights with LED running lights. 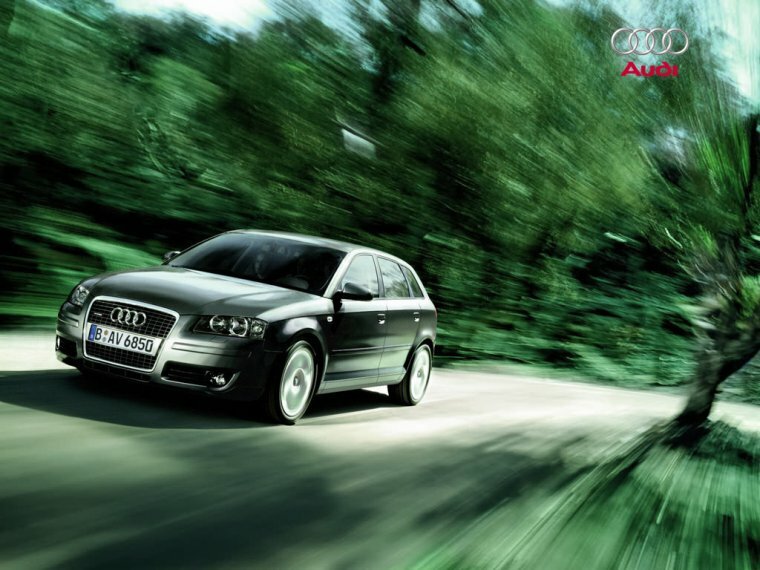 From its gorgeous interior to its sporty drive, the A3 has a character all of its own. There's plenty of space in the front of the A3, and headroom is good throughout. However, six-footers will wish the three-door version of the car had a bit more rear knee room. This is exactly what you get with the Sportback model, along with two extra doors, so it's a far more practical choice. Whichever version of the A3 you choose, the boot is big enough to take a fold-up baby buggy or the weekly food shop. Plus there's a false boot floor that lets you divide the space in two and raise the load level so that you're less likely to strain your back when lifting in heavy items.